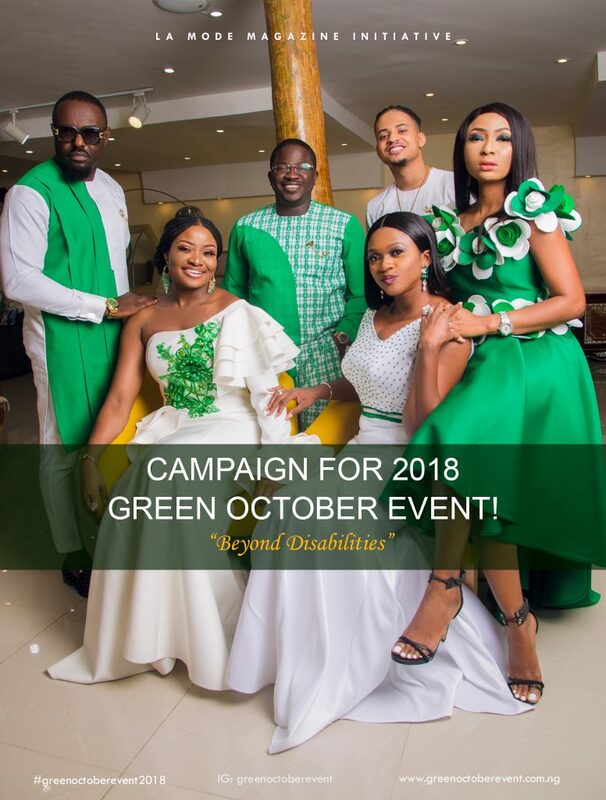 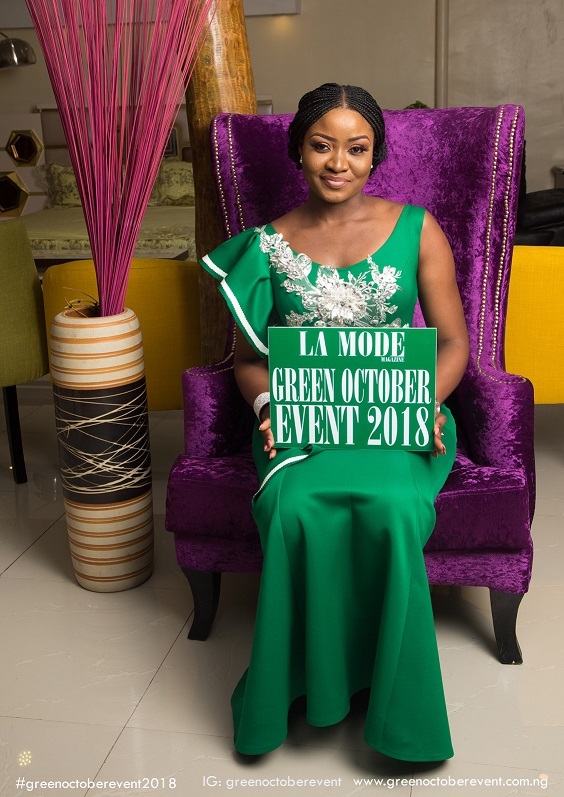 Press Release: La Mode Magazine Unveils The 4th Edition of Green October Event 2018 With a Campaign shoot featuring; Jim Iyke , Waje, Rico Swavey, Olukokun Adepeju Founder Kokun Foundation, Belinda Effah and Dr.May IKEORA!! 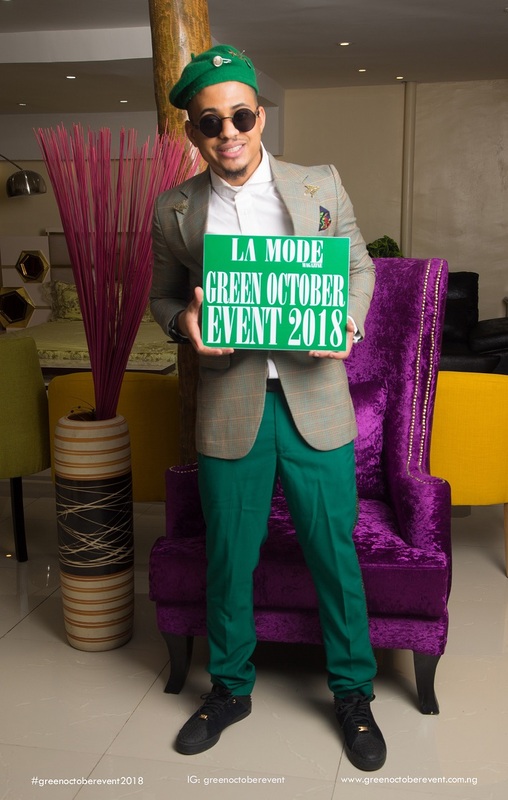 ‘’Green October Event ’’ is a La Mode Magazine initiative @lamodemag. 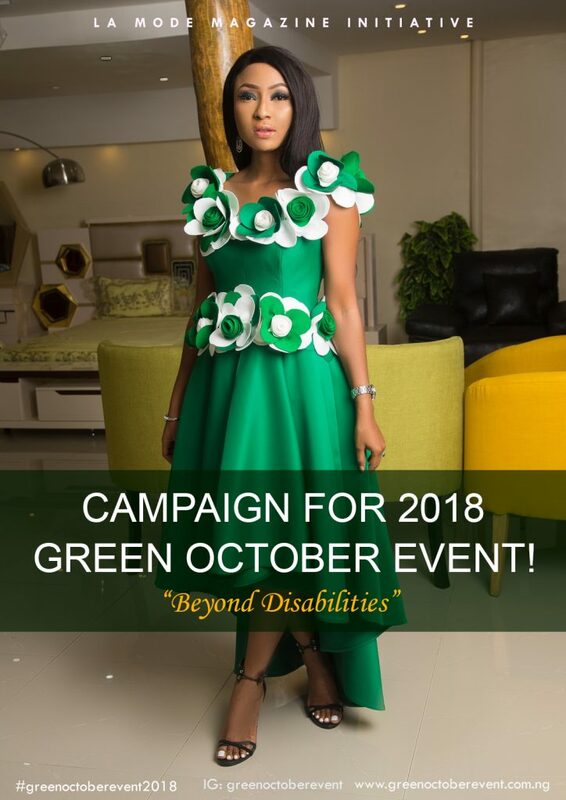 It is an annual project to create awareness, appreciate and support persons living with disabilities. The initiative is an advocacy awareness platform where persons with disability are given a voice. 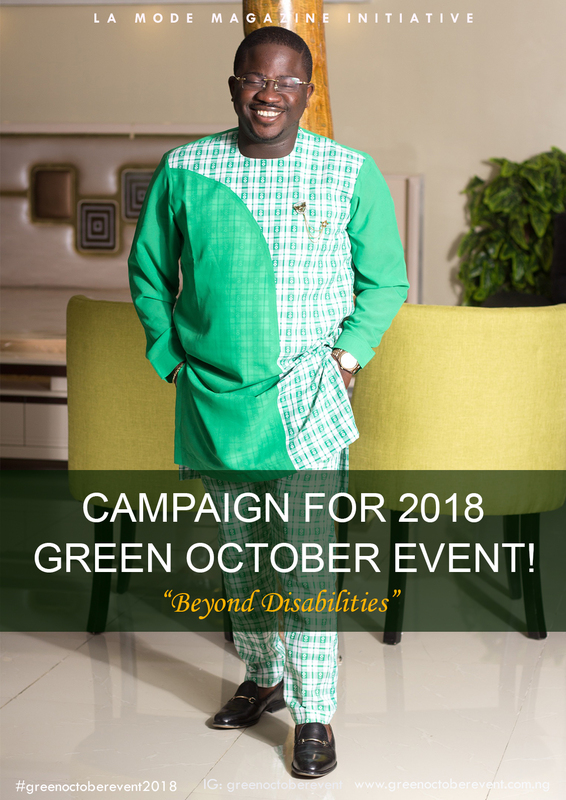 The UN Convention on the Rights of Persons living with Disabilities emphasizes the right to life, equality and non-discrimination of persons living with disabilities. 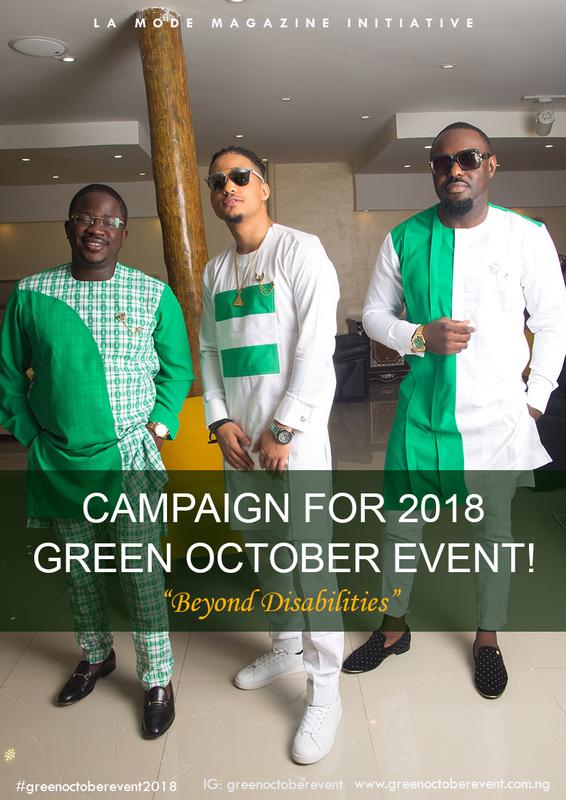 2015 edition was focused on Down syndrome, 2016 on Autism, 2017 on Cerebral Palsy. 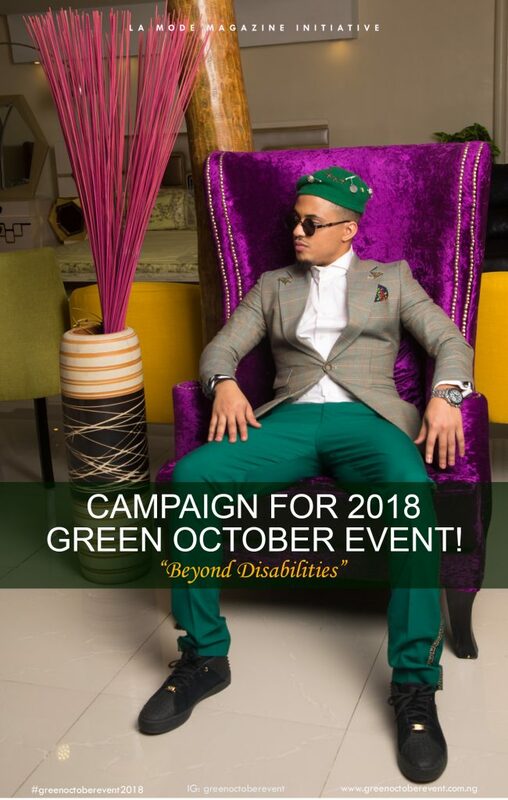 The theme for the 2018 edition is ‘’Beyond Disabilities ’’ the aim of the edition is to inform individuals and communities that if you are disabled you are just like everyone else… just living life in a different way. 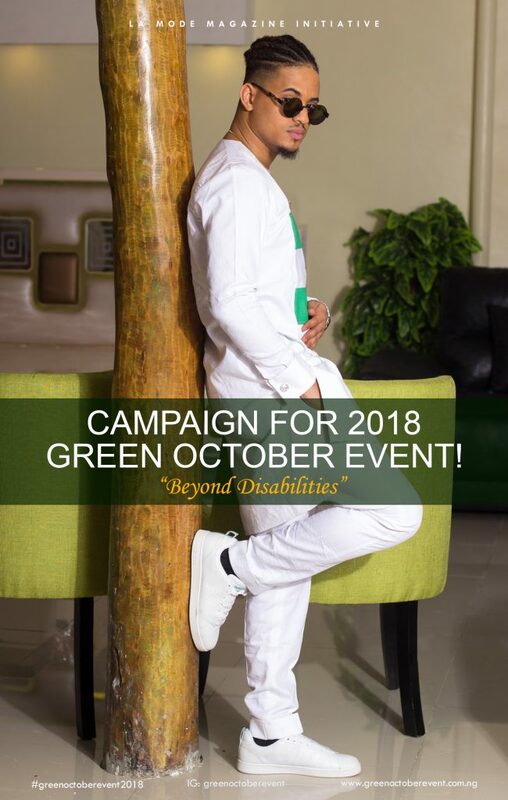 Living a world where all people embrace each other’s’ differences. 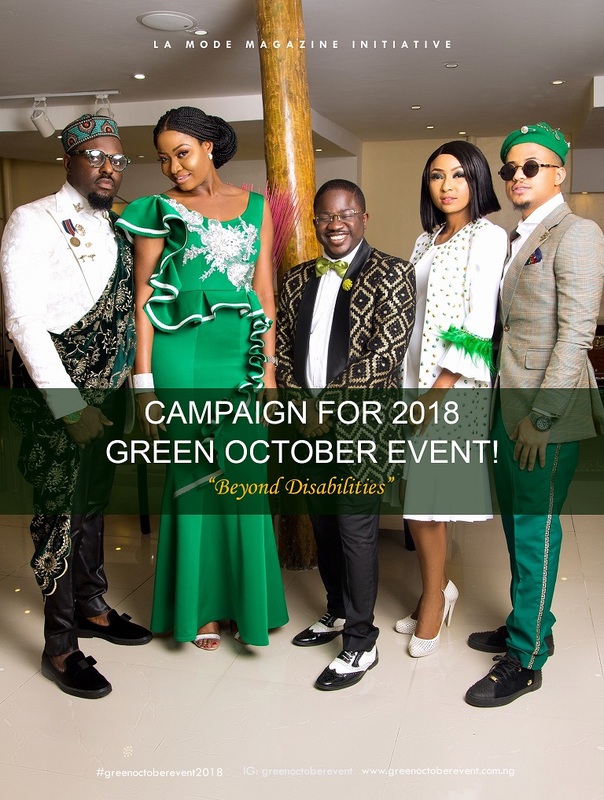 One of the major goals of ‘’Green October Event Project’’ aside the annual event is to establish a multipurpose disability Job recruitment unit, Awareness, advocacy and information centre. 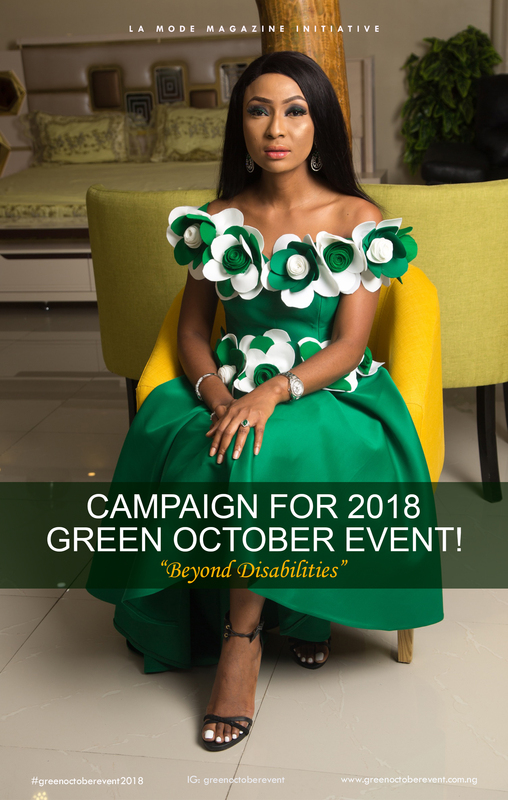 Giving people living with disabilities job opportunities, all the information, support, training and education they deserve. 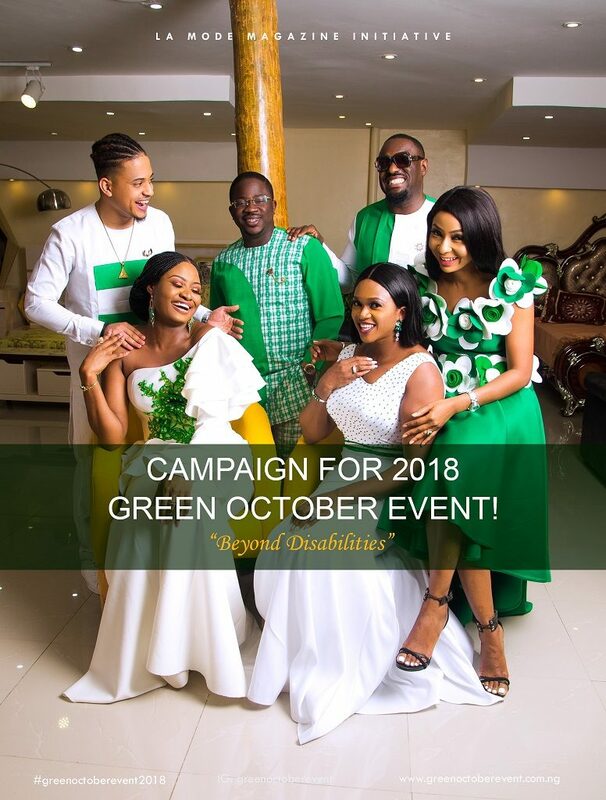 Green October event is an avenue where philanthropic and humanitarian gestures are given annual prestigious award. 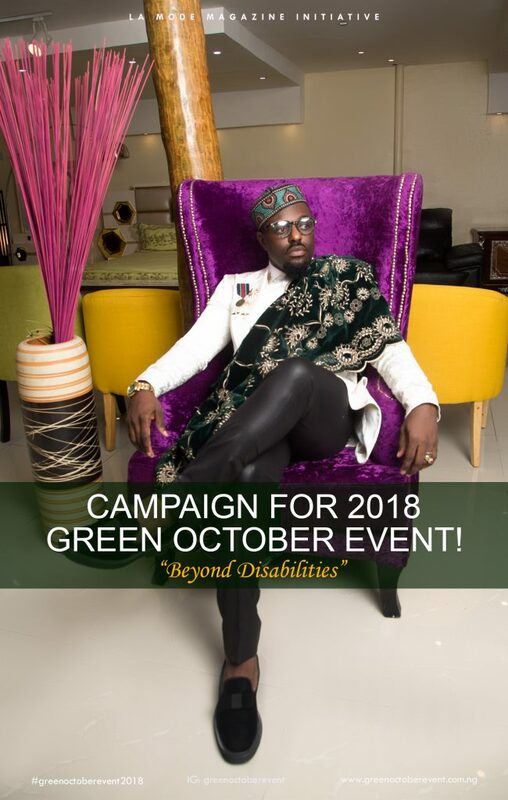 These are people that have contributed significantly to humanity in their various fields of endeavours without prejudice on grounds of gender, sexual orientation, religion or ethnicity. 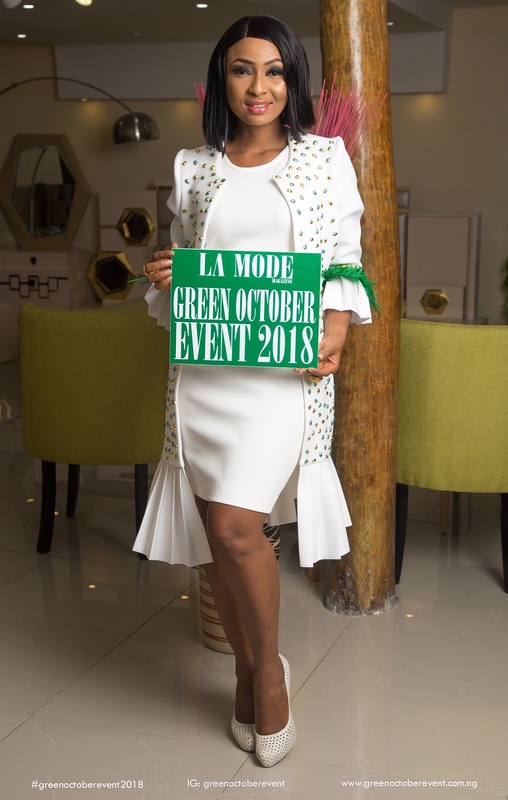 The annual event is also a platform to showcase African fashion and designs. 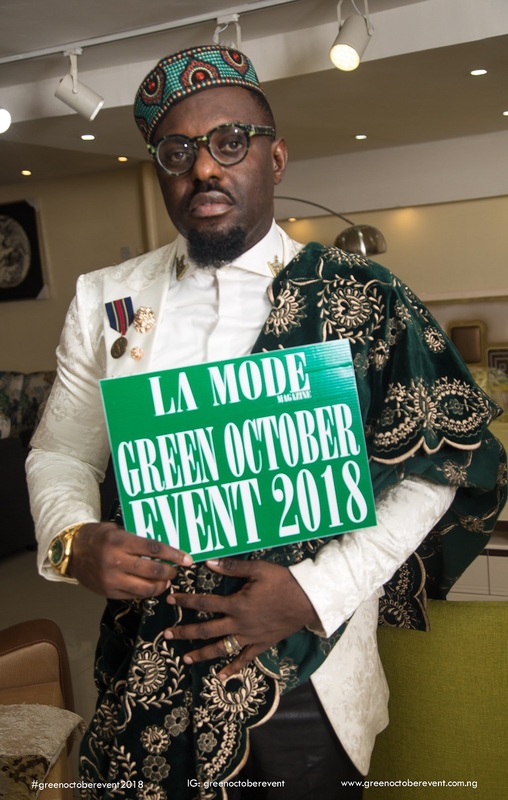 At the event fashion awards are also given to deserving Nigerians. 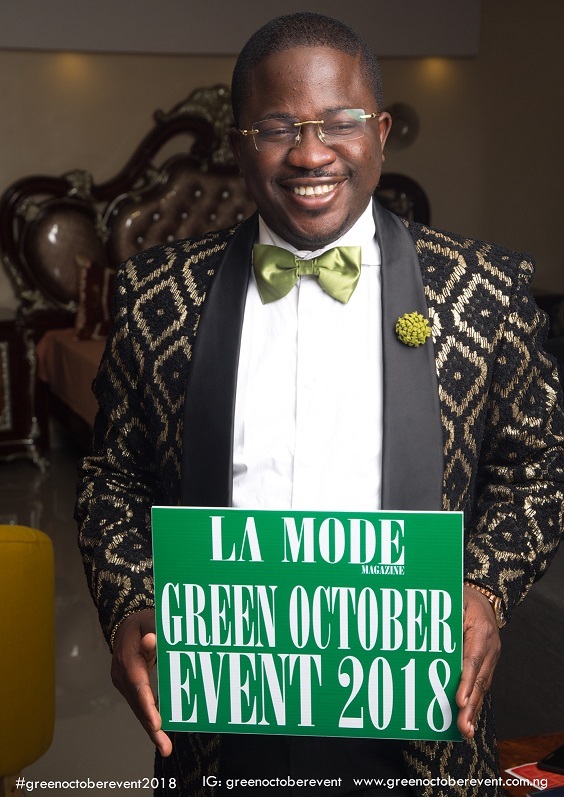 The event promotes made in Nigeria fashion through the fashion show and exhibition. 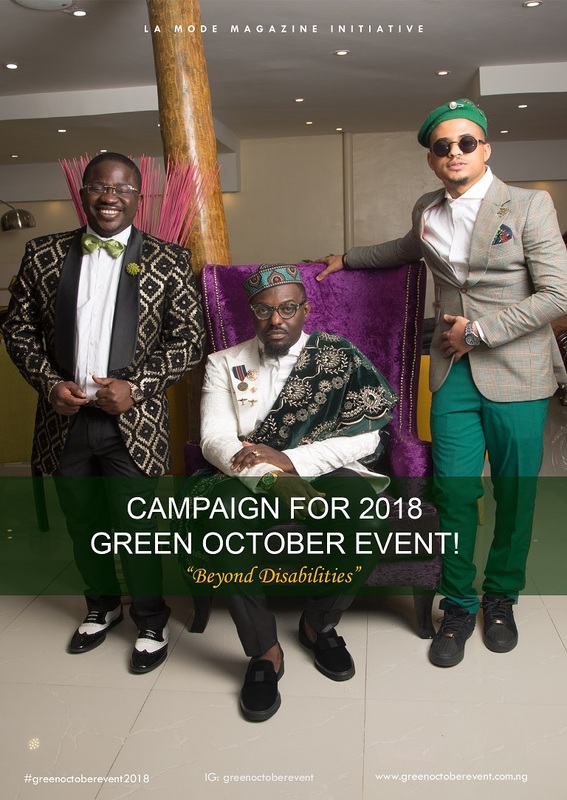 The event usually takes place on Nigeria’s Independence Day October 1st at the Oriental Hotel, Lagos. 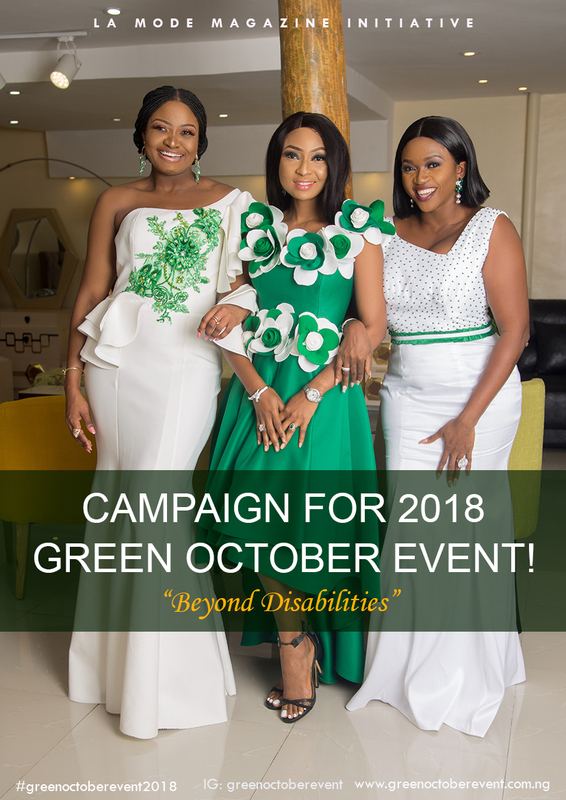 Do you know that there are about 25 million Nigerians living with disabilities? 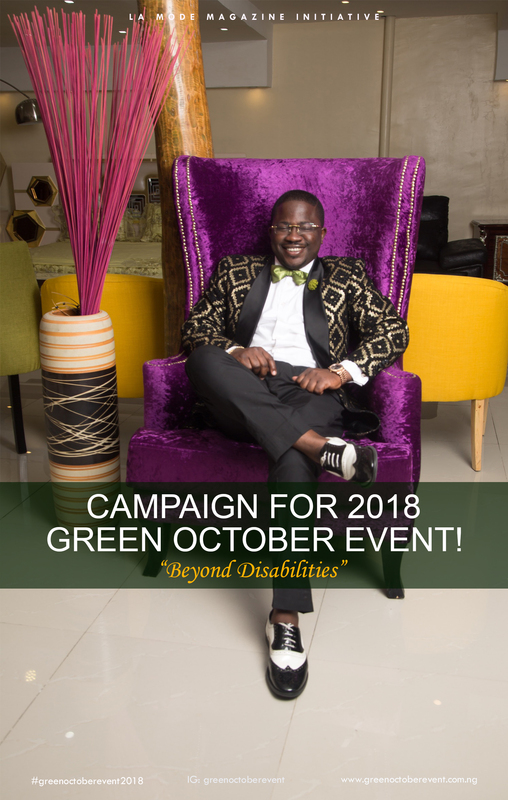 Do you know that students living with disabilities are segregated from others? 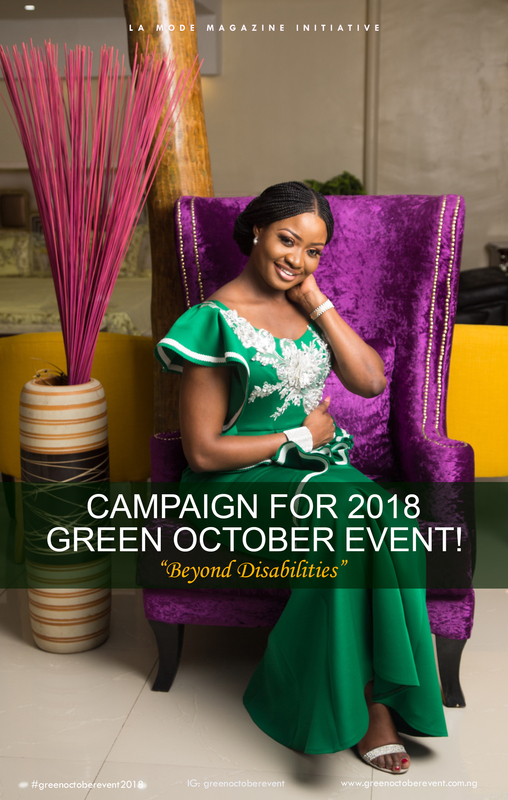 Do you know about the Nigerian Disability Bill? 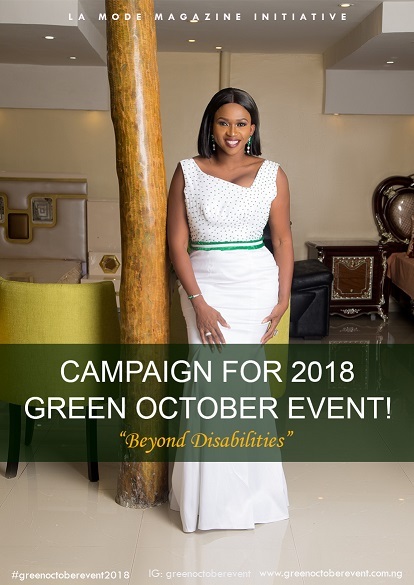 Do you know that this bill is to protect and promote the rights of persons living with disabilities? 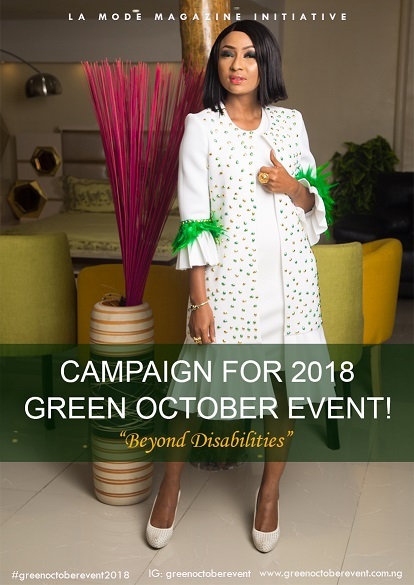 Do you know that this bill, if passed, will provide for the right to free education, free healthcare, prohibition from segregation, right to work and employment? 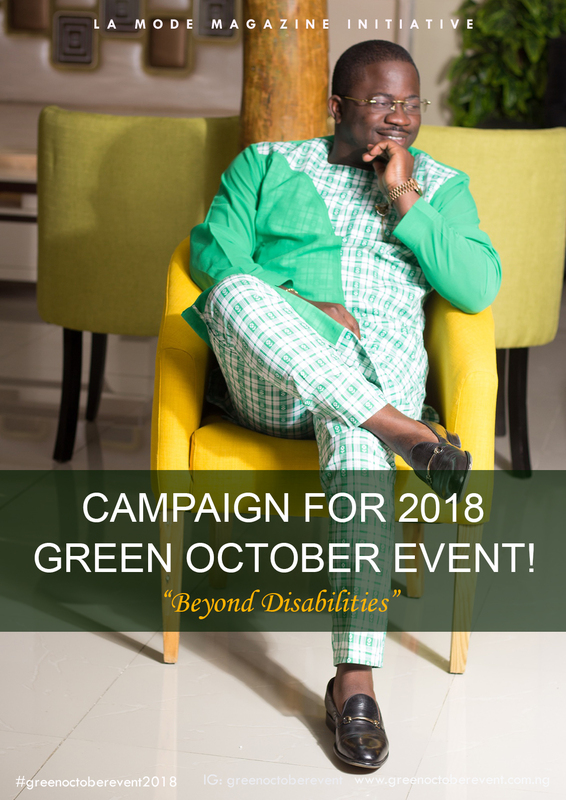 Do you know that this bill also provides for the right to participation in politics? 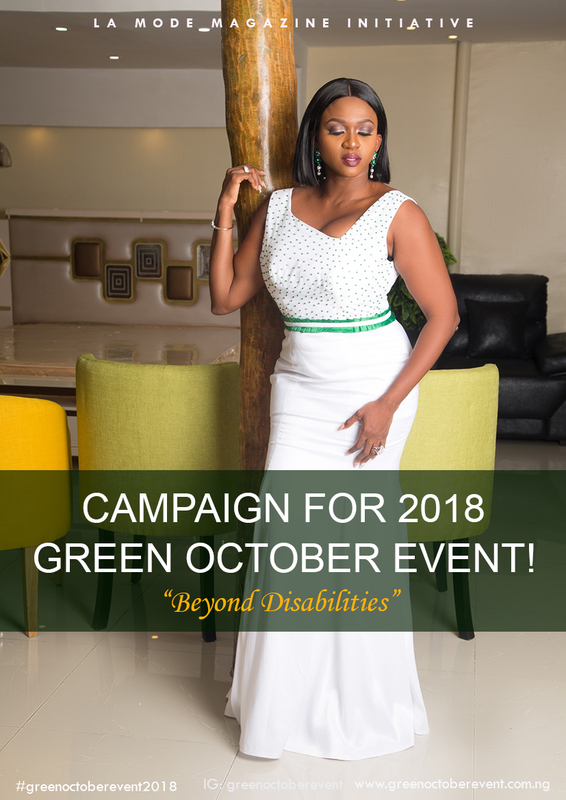 Do you know that women living with disabilities have a high rate of prevalence as victims of domestic violence and sexual abuse? 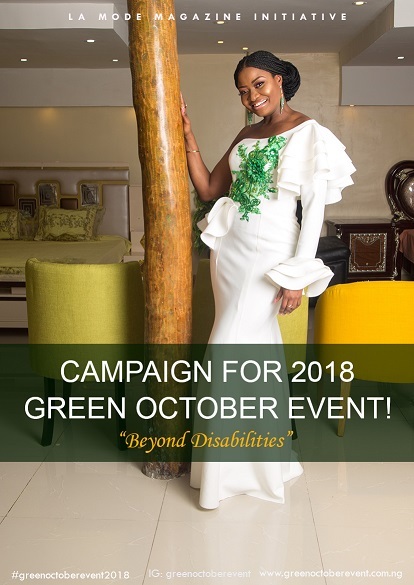 Do you know that persons living with disabilities are also human beings who did not choose their paths for themselves? 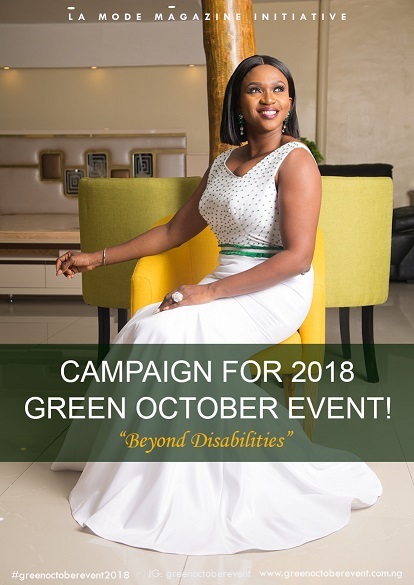 Have you done anything to make the lives of people living with disabilities better? 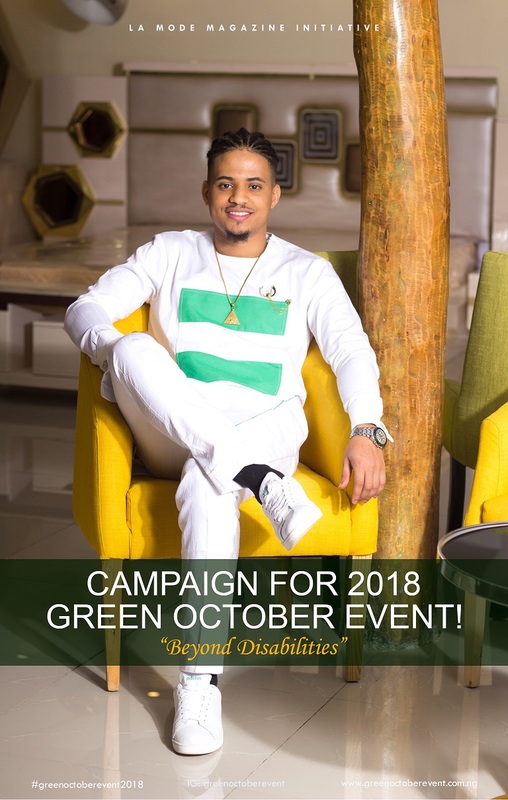 Do not discriminate or harm people with disabilities. 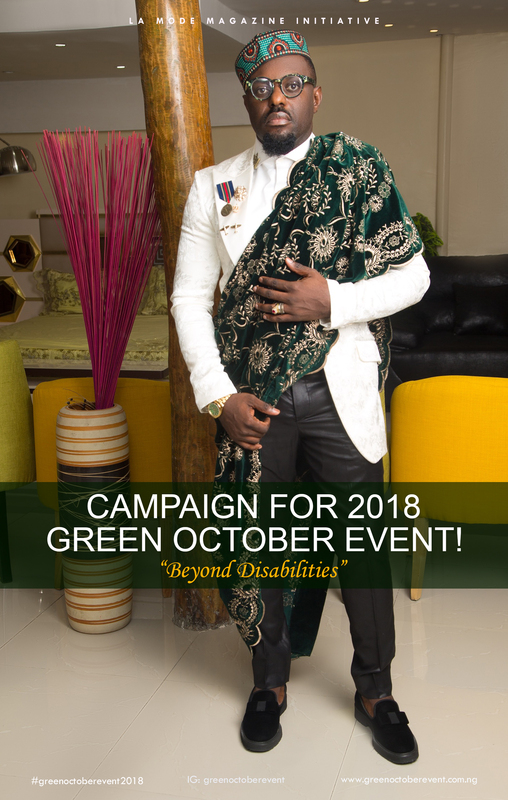 This is a call to serve humanity and promote the well-being of disabled people. 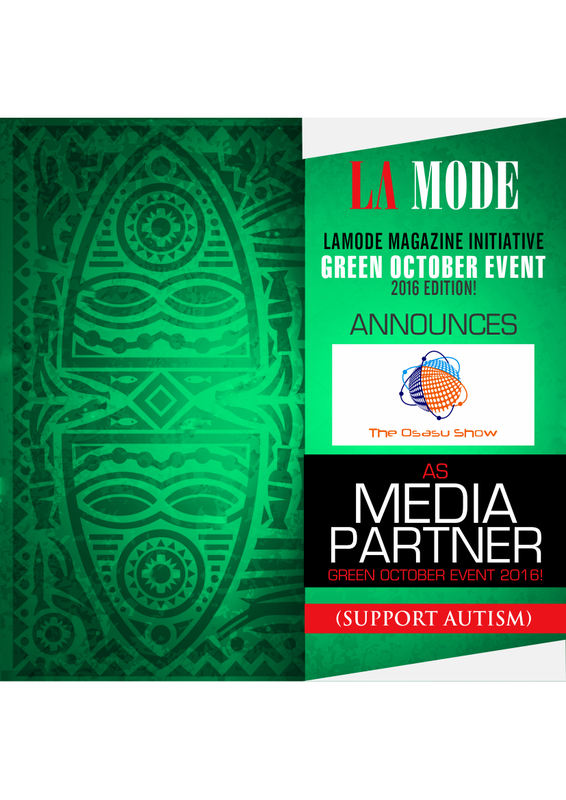 The Osasu Show Media Partner for La Mode Magazine Green October Event 2016! Dana Air Official Sponsor For La Mode Magazine Green October Event 2016!